Disclosure: This post contains affiliate links. This means that if you make a purchase through my links, I will receive a small commission, at no extra cost to you. This helps support my blogging efforts, so thanks in advance! 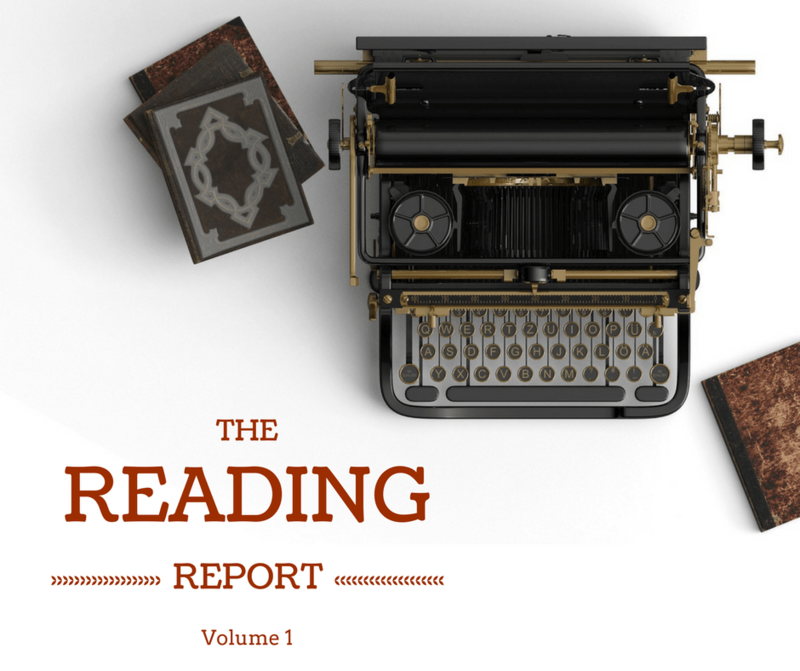 Welcome to the first installment of “The Reading Report”! My hope for this series to keep not only a record of the books I am currently reading and have finished, but also to keep an ongoing conversation with you about your reading life! In Volume 1, I will only be sharing a list of what I have read over the past year, just to give us a jumping off point. It is pretty long, but I wanted to get these recorded someplace besides my old planner. So, let’s get started, shall we? I started keeping a running tally of books I finished in September 2016, so I am going to start my “Reading Year” there. At first I included on this list chapter books I had read aloud to my 6 year old son, but I have not been doing that lately since they are all on his school reading list. So I will not include them in this post, either. Goodness knows my list is long enough already! For some reason I have no record of books I finished this month. I think I had started my slower reading at that point, and it was getting a little more difficult to get through as much. We also started our first year with AmblesideOnline, so I had a little more on my plate school-wise. And that is where my list of books finished ends. In May we had a lot going on in our family. Plus, the weather was pretty much perfect for spending time playing with the kids outside, so there was less time for just sitting around reading. I also started adding some more longer term reading to my plate. But completing 25 books in about 9 months isn’t too shabby for a slow reader! I have not set specific goals for how many books I would like to read in a year, although I know a lot of people do. I am more interested in quality over quantity, at least at this point. How about you? Do you set goals for your reading? Do you track what you have read/are reading in some way? I would love to hear about it in the comments! Be sure to come back for Volume 2 of The Reading Report in which I will be talking about my actual current booklist! Until, then, go get lost in a story!